These are pictures of Prairie Dogs. Cute creatures, aren't they? Well, humans are responsible for *deliberately* decimating their population by 99% over the last century. Prairie Dogs are among the world's best animal communicators, with one of the most sophisticated languages in the nonhuman world. Their yips and cries (from which they got the name "dog," although they are actually rodents) represent complex statements containing information they want to impart to each other: like the differences between the colors of clothes worn by passersby, or whether a human carrying a weapon had one on a previous visit. Just a hundred years back, these intelligent beings used to cover huge swathes of land all across North America. 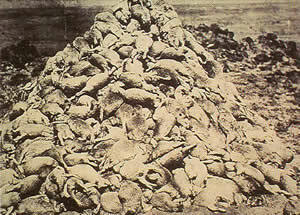 In August 1841 George Wilkins Kendall came upon a "commonwealth" of prairie dogs whose "mercurial and excitable denizens" provided some sustenance for the famished and disoriented members of the Texan Santa Fe expedition. He admired the "wild, frolicsome, madcap set of fellows...ever on the move...chattering away the time, and visiting from hole to hole to gossip and talk over each others affairs." Kendall was referring to the socially integrated activities of these animals, which include mutual nuzzling, grooming, and "barking" to express territorial claims. These animals used to live in colonies which were so organized and so massive they would be called 'towns'. Stretching across hundreds of acres, these 'towns' would be divided into 'wards' by physical features such as ridges and gullies, and further subdivided into coteries or family groups of up to 8 individuals. One particularly massive 'town' in the Texas of the 1890s measured 100 miles by 250 miles, and contained an estimated 400 million Prairie Dogs. Over the course of just 60 years (1901-1960), all these towns were utterly destroyed, billions of Prairie Dogs poisoned or shot, because they were considered 'varmint' and a threat to human cultivation. Apparently the poisons would take hours or days to take effect, causing the creatures immense pain before killing them. So these intelligent, social animals had been around and thriving for millions of years, but man comes along one day and decides to kill them all to make space for himself? Wow. But the worse part is, it is now understood that these creatures don't really compete with livestock for food. 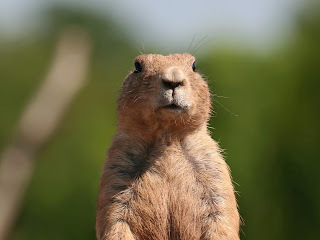 In fact, they are an integral part of the prairie ecosystem - Prairie Dogs are a 'keystone' species upon which many other species of plants and animals depend for survival. But we had to come along and with our half-baked knowledge, kill them all and decimate the entire ecological balance, didn't we? A particularly sadistic method of eliminating prairie dogs is by blowing them away at private "recreational" shooting contests, where shooters sit at tables near or within a colony and aim high-powered rifles at the animals as they emerge from their burrows. These "sportsmen" don't like to waste their bullets, so if they just injure a prairie dog, they consider it entertaining to watch him die slowly rather than waste another bullet. The National Rifle Association calls this cruel, bizarre event "varmint-hunting." Shooters have their own charming terminology for the various maneuvers they perform. A "triple" is one bullet that hits three dogs on a mound who are hugging each other in fear. In the "flipper," the force of the shot flips the animal backward. A "red mist" refers to the explosion of a prairie dog from a direct hit. This "sport" is accompanied by cheers from onlookers and participants, and, of course, prizes for the best shots. The death tally at the eighth Annual Prairie Dog Extravaganza in North Dakota was 4,912, shot in a six-hour competition by 70 participants. A hunter's annual take in Utah can reach 6,000 Prairie Dogs. Just for comparison, imagine an alien coming down and killing 6,000 human beings in one season - 'for kicks'. The shocking stories of the American Bison and the Passenger Pigeon run parallel to that of the Prairie Dog. Just like Prairie Dogs, millions of bison used to roam inner North America till the 1800s. Early settlers remarked on "plains that were black and appeared as if in motion" with the herds of bison. Then they were shot en masse - just for their skin, while the carcass of the 2,000 pound animal would be left to rot. The bison almost went extinct by the 1880s, but thankfully some have survived. Today some descendants of the mighty bison remain in protected reserves, living relatively solitary lives, instead of being tiny specks in mighty black herds stretching miles across. Passenger Pigeons weren't so lucky. These birds used to live in enormous migratory flocks. One sighting in 1866 in southern Ontario was described as being 1 mile wide, 300 miles long, and taking 14 hours to pass a single point with number estimates in excess of 3.5 billion birds in the flock. 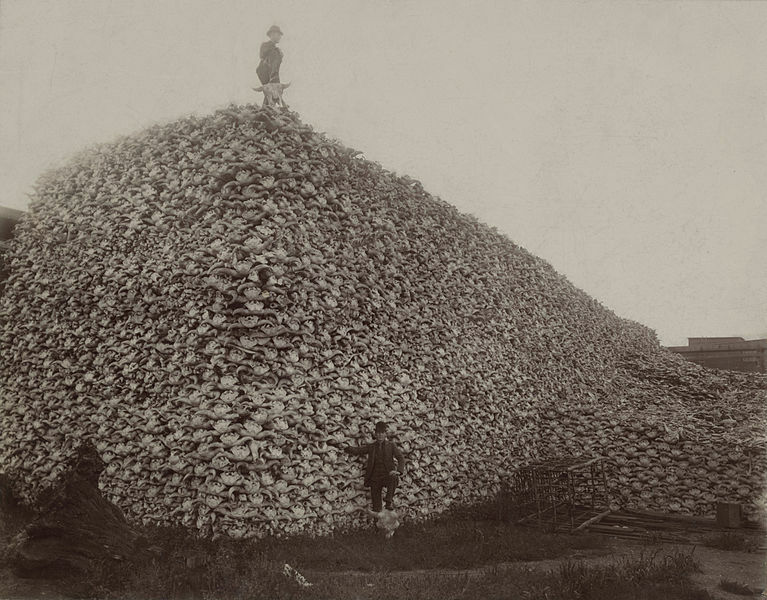 By 1905, the birds were extinct, mindlessly murdered by humans. But its not just 'them yankees'. Humans have been experts at wiping out other species for thousands of years - across the world. India had some of the thickest jungles in the world uptil just over 100-200 years ago. Then man became 'civilized' and wiped out almost all of India's forest cover. Now the Indian hinterland comprises just millions and millions of acres of farmland with impoverished farmers and their malnourished children trying to eke out livelihoods from laughably small patches of land. All jungles have been cleared out, all wildlife wiped out. 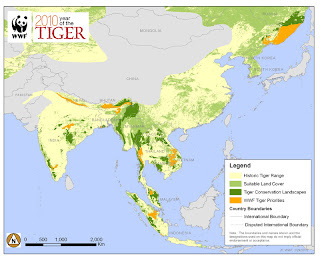 Tiger population has fallen from 100,000+ to 4,000 in just 100 years, their range decimated by 93%. 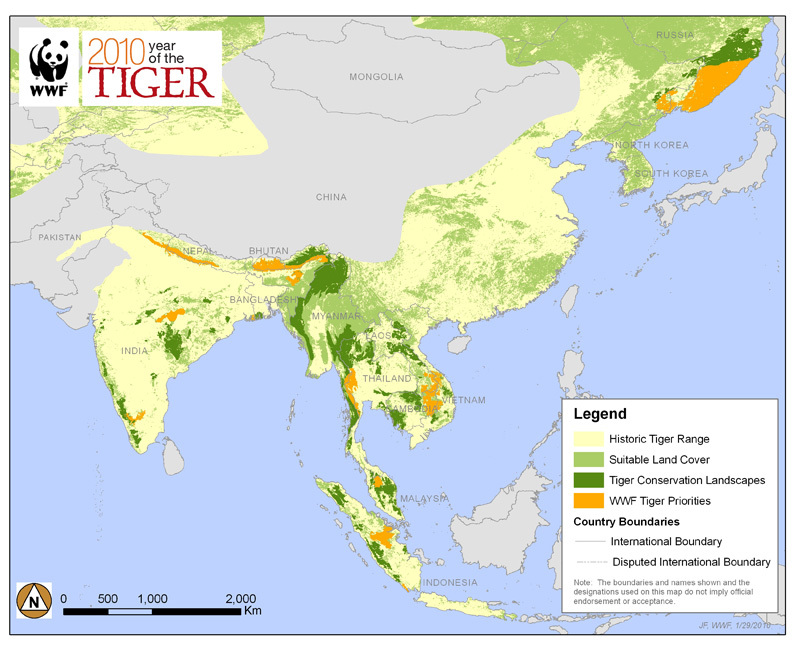 While we humans have, you might say, 'swarmed and infested' the Indian peninsula to the point of breakdown (our population quadrupled to 1.1 billion in the time that the tiger's fell by 25 times).